The Argentinian Deputies Chamber approved a preliminary proposal that requires all institutions from the Science and Technology National System that receive public funding, to create Open Access digital institutional repositories to make available the results of the national scientific production. resulting from scientific research projects that have been publicly-funded, whether the support has been provided in the form of research grants or stipends for graduate students (doctorate, masters) and staff. The law includes also a mandate to make publicly-available the raw data acquired in publicly-funded projects, no later than five years after it has been acquired, to facilitate that other investigators can use the data to further other research efforts. A National System of Digital Repositories will ensure the interoperability of the many institutional repositories that will be created as a result of this legislative measure, in order to guarantee the free, gratis, and universal access to this information from a single portal. This model of Open Access for scientific and technological production empowers citizens to download, read, copy, print, link, and redistribute the full text of scientific articles and use them for educational, research and lobbying activities; unencumbered by any economic, political or technical barriers, while fully taking advantage of the enormous capacity of the Internet for facilitating the public dissemination of information. This is greatly significant because about two thirds of all scientific research in Argentina is sponsored with Public funds. Kudos to the Argentinian government for this bold visionary step towards the promotion of scientific research and empowerment of citizens access to it! 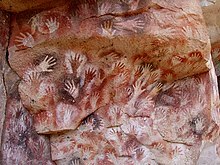 Cueva de las Manos, over 10,000 years old, is among the oldest evidence of indigenous culture in the Americas. 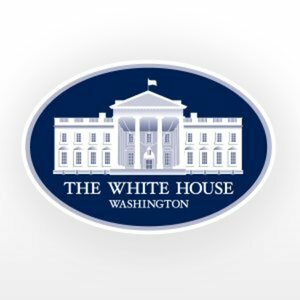 If you want to help the United States catch up with the Progressive Argentinians, you are still on time to sign the Petition to the White House, which requires that all publications resulting from federally-funded research be made publicly-available in Open Access. In just five days, the petition has already been signed by more than 16,800 people, and needs only 8,000 signatures more to be brought to the President. Make your voice heard today.